This is the summary of consumer reviews for Angelcare Baby Movement and Sound Monitor [Discontinued]. The BoolPool rating for this product is Excellent, with 4.60 stars, and the price range is $68.99-$149.99. 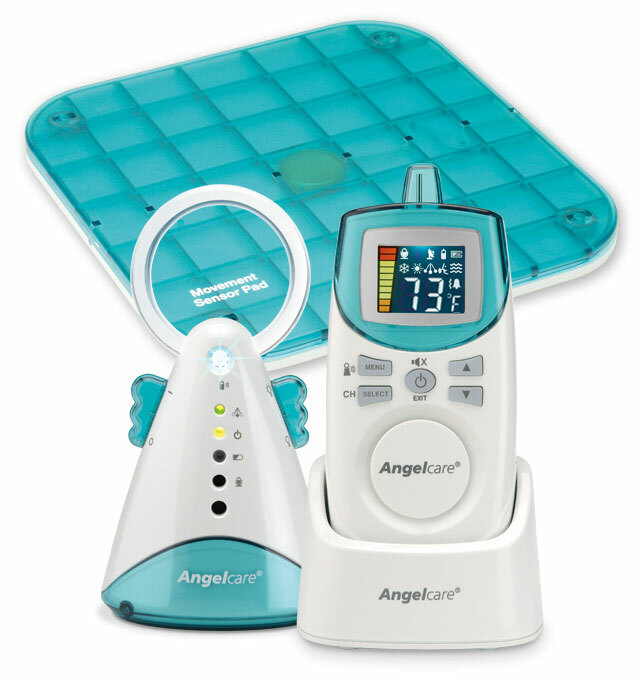 The AngelCare Baby Movement and Sound Monitor offers both sound and movement monitoring with a range of up to 820 feet, easy to read 2” LCD screen, eight channels to minimize interference, continuous or voice-activated sound transmission, and most importantly sounds alarm on no heartbeat or movement detection of the baby for 20 seconds. 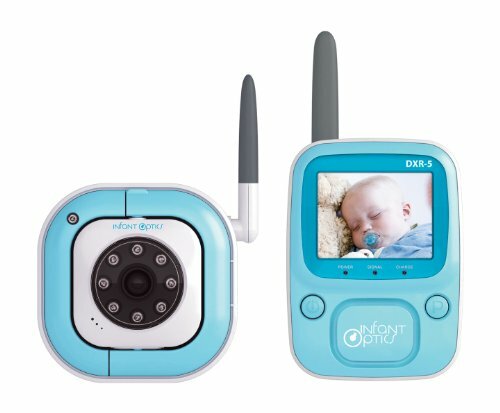 The monitor uses a sensor pad that can be securely placed underneath most standard crib mattresses, and the sensitivity level can be adjusted with a dial on the back of the nursery unit as needed. It features a unique ‘tic indicator’, which flashes green and makes a tic sound whenever movement is detected and in off mode only the green light will flash when movement is detected. 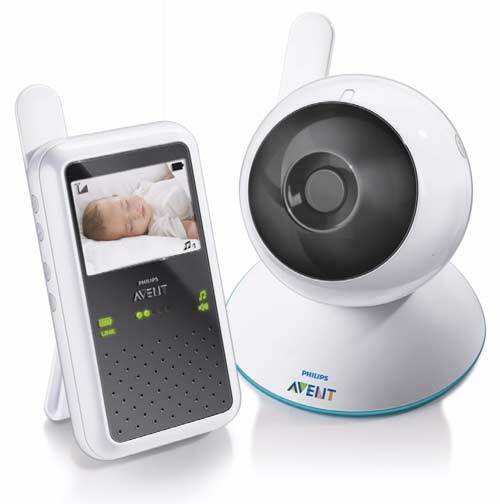 The monitor uses AC adapter or can run on 4 AAA batteries (not included) whereas the parent unit uses 4 NiMH rechargeable batteries (included) and can be recharged on its stand. In case of power failure both units will automatically switch on battery power. Handy low-battery indicator informs the time to charge or replace the batteries. 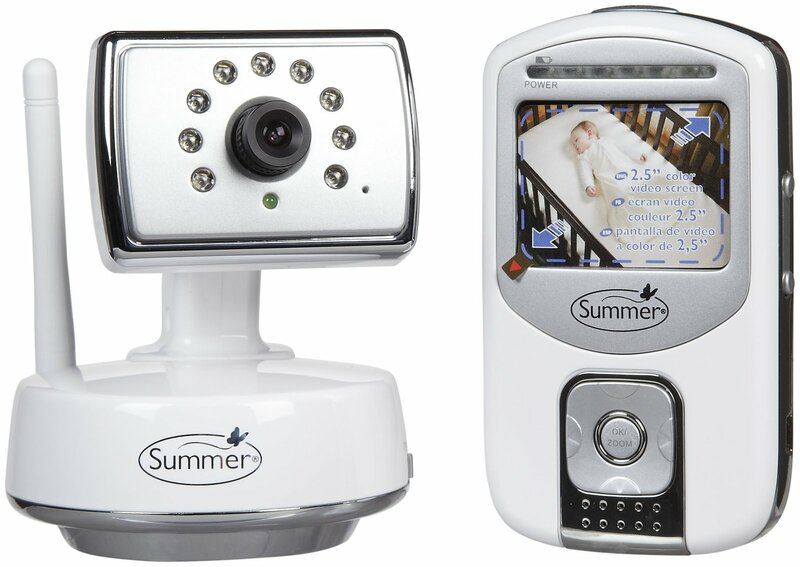 For convenience, the monitor features a temperature display and sound and movement indicator lights, the out of range indicator which informs the connection lost between parent and nursery unit, parent unit includes a belt clip and the nursery unit’s night-light which provides a pleasant glow in child’s room. Overall, the AngelCare Movement and Sound Monitor is highly recommended for complete peace of mind to the parents or caretakers. This award-winning baby movement & sound monitor system is both pretty and practical. Therefore, the pad and monitor work perfectly. Angel Care 401 works great! After reading about false alarms and no alarms I was hesitant but bought it anyway. 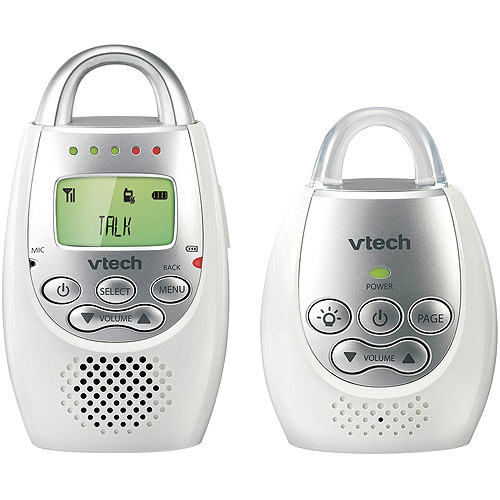 works as it says and i like the charger it comes with so your not limited to where you can go works well outdorrs and if it stops swnsing your baby it'll sound a loud alarm. It worked for us right away (we didn't have to mess with the sensitivity or plywood) and I know it works because I've done extensive self-testing. Items such as fans can affect how well it works. 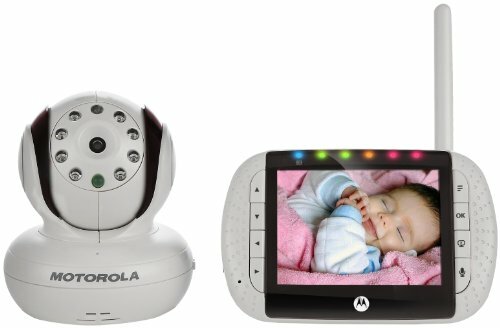 I know that the monitor is working because the alarm goes off every time we take her out of the crib and forget to turn it off (my husband can never remember! It also features max and min temperature alarm, voice activation, motion sensing pad that can detect breathing and a night light. The monitor still works great! I LOVE, LOVE, LOVE this monitor with sensor. Most importantly, I LOVE LOVE LOVE that the alarm will go off if it doesn't sense movement after 20 seconds. Love almost everything on this product. I love this product and will continually give them as gifts to my expecting friends. This monitor has never given feed back and I love the added features of the temperature monitor, movement detector, and nightlight. I love that that can be adjusted. This monitor goes on all of our trips and my baby loves the blue nightlight. I love this monitor , it definately helps me to sleep easier at night! Great peace of mind for parents!. It gives me peace of mind!. It's worth the money for peace of mind. This monitor gives us peace of mind at night. I really enjoy the peace of mind it gives me. It gives me peace of mind especially at night. It's easy to use and the peace of mind has been great! I thought I'd have peace of mind with this item. gives me peace of mind to be able to sleep at night. The movement sensor give me added peace of mind and the temperature sensor lets me know if I need to adjust the temp in my baby's room. this product has given my daughter and son-in-law peace of mind to sleep at night. Not only would I recommend this product because it really works but the Angel Care customer service is great as well so not only do you get a great product that gives you complete peace of mind but you also get the peace of mind knowing if ANYTHING goes wrong with it they're there to help you with it. This product is the best product I ever purchased. Highly recommend to any parent. Buzzed all the time - returned product. 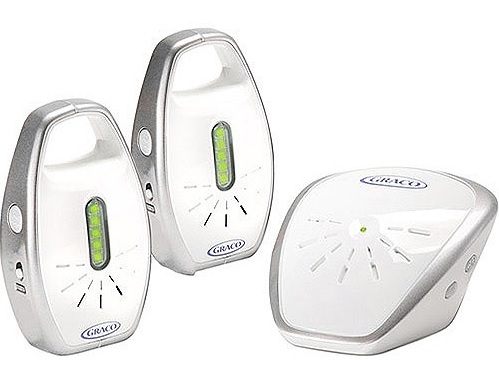 Both times my son had stopped breathing for a short period of time and the alarm on this product had actually awakened him just enough to start breathing again. Since our 6 week old decided he wanted to be a belly sleeper, we needed some peace of mind and ordered this product. Being a first time parent I was nervous about SIDs. My baby girl prefers sleeping on her tummy but I was too nervous to let her sleep that way so I bought this monitor and now we're all sleeping well! :) Definitely worth the peace of mind!. Tummy sleeping is no longer recommended by pediatricians, and I was a worried mama losing sleep worrying that my baby would suffocate in his sleep. My baby decided that sleeping on her tummy was great but I couldn't sleep. My daughter finally can sleep now. Four nights after they came home, one of the babies stopped breathing in his sleep. This monitor let's me sleep at night knowing it'll wake me if she stops breathing. 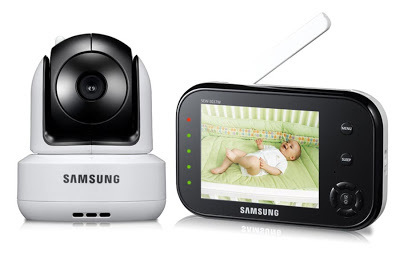 Now, thanks to this monitor, my son is sleeping almost 4 hours at a time and I'm able to sleep when he does. We bought a video monitor, but that didn't help with sleep deprivation. He now at 5-weeks sleeps 5-7 hours at night (he's still in his bassinet next to my bed) and I can sleep without worry and not be a crazy person during the day. I test it to make sure it's working ok and the alarm goes off and it's enough to wake any person from a sound sleep.